Two deans, one of OBU's first Distinguished Teaching Award honorees, a popular pianist, a local missions leader, a longtime mathematics educator, an award-winning yearbook advisor and a former OBU trustee are retiring from the University's faculty and staff this summer. The retirees represent 205 years of service to OBU. Bobby Canty,dean of students, joined the OBU staff in 1984 and wore a number of hats before becoming dean of students in 2000. His tenure at OBU has included service as athletics director, tennis coach and director of student services. 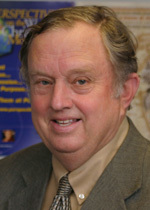 Dr. Robert Dawson,WMU professor of missions, joined the OBU faculty in 1985. He was instrumental in developing new academic programs in cross-cultural ministry, including the first full program in orality studies to be offered in any Baptist school. 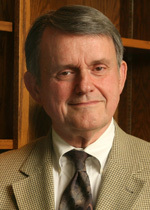 Dawson is also the co-founder of the Avery T. Willis Center for Global Outreach and founder of the Don R. Kammerdiener Center for Missiological Research. 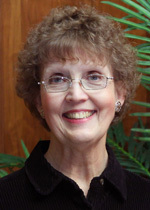 Dr. Ronda Hall,professor of Spanish, joined the OBU faculty in 1973. The longtime faculty member was honored as the second-ever recipient of the University's highest honor, the Distinguished Teaching Award. 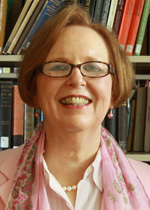 Anne Hammond,associate professor of English, joined the OBU faculty in 1986 and has served as chair of the language and literature division. She was longtime advisor for Yahnseh, helping student staffs garner consistent Columbia Press honors for the yearbook. She was awarded the Promising Teacher Award in 1989. 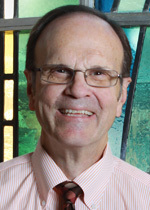 Dr. Paul Hammond,dean of the Warren M. Angell College of Fine Arts since 1986, also has served as professor of music, teaching classes in church music and music history. He has published a number of articles. He has served as managing director for the Oklahoma Alliance for Liturgy and the Arts, program chair for the Da Vinci Institute, and evaluator for the National Association of Schools of Music. Dr. Eugene Hobbs,professor of mathematics and chair of the science and mathematics division, joined the OBU faculty in 1996. 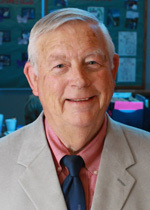 He moved to OBU after a long tenure on the mathematics faculty at East Central University. John Little has been OBU's director of estate and gift planning since 1998. 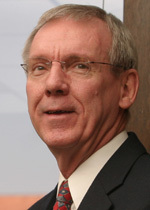 He formerly served on the University's board of trustees. Prior to joining OBU, he worked for the State Insurance Fund, the Oklahoma Tax Commission, and the Oklahoma State Board of Affairs, and also as a practicing certified public accountant. 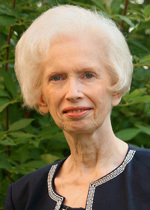 Sandra Meyer, associate professor of music, joined the OBU faculty in 1975. She has taught in the piano and theory departments. She also has worked as a piano instructor and music theater accompanist for Williams Syndrome Music and Art Camps in the U.S. and Northern Ireland. A nationally certified member of the Music Teachers National Association, she currently is serving as state president of the Oklahoma Music Teachers Association.